The changes of connectivity requirements in these places are not to be solved with just a few more Wi-Fi access points. Issues like shifting the device management mindset to user-centric access management and tiered-services, optimization and improvement of overall performance, security threats from different devices and new applications all need to be considered and taken seriously. 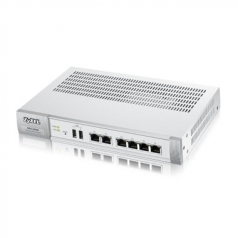 With its outstanding competence in switching, WLAN, security and routing products, ZyXEL Communications is one of the few leading companies capable of presenting comprehensive solutions to counter these new challenges. With years of the expertise in IP networking and experiences in deploying over 600,000 hotel businesses worldwide, ZyXEL hospitality comprehends solutions fulfilling the following essential needs to bring sophisticated services to valuable customers. Typical Wi-Fi deployments in a hotel usually place access points in hallways and hidden plenum spaces; the main purposes are to prevent theft and to avoid design disagreement between the high-tech AP and the tasteful hotel interior design. However, this commonly seen deployment method and the hotel building structure sometimes disrupt Wi-Fi service to cause unnecessary complaints from customers. 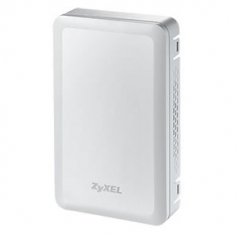 To address this challenge, ZyXEL introduces innovative wall-plate design to provide Wi-Fi services with best coverage from one room to another. 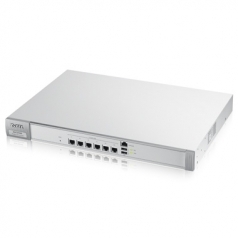 To provide modern services for hotel guests, the wall-plate AP also integrates PoE and phone connectivity in a box to extend services with minimized investment.